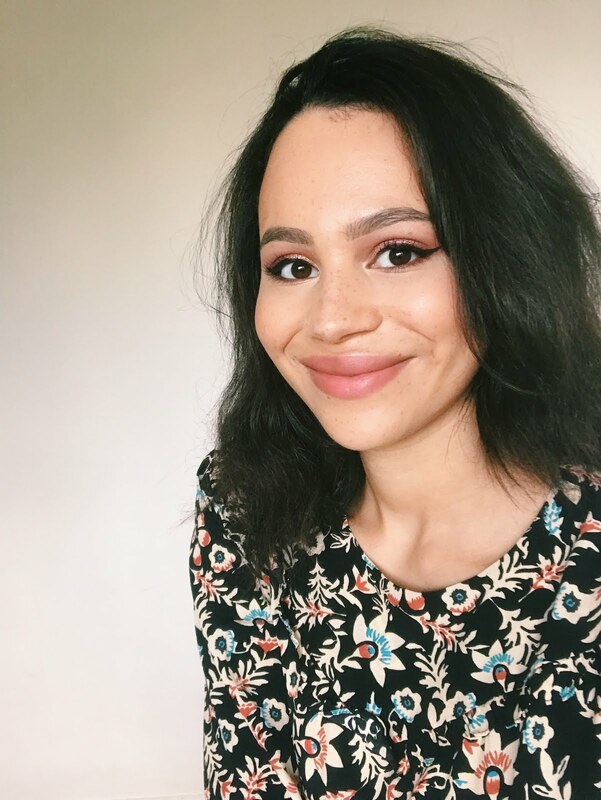 Seeing as it's autumn and I love warm tones, I thought I'd share some of the products I'm loving for creating that sort of makeup look. There's also not going to be another everyday makeup post for a while because of all my Christmas content and since finalising the last one, I've had a few great updates. 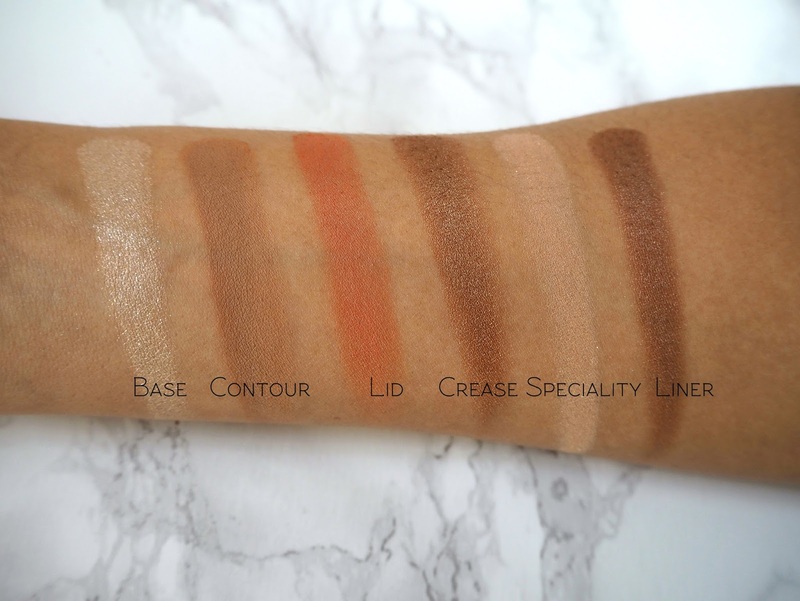 For this post, think: a glowing base paired with lots of bronzes, reds and browns. My go-to primer when I'm in need of some moisture (which I usually am) tends to be the Too Faced Hangover Primer | £27. It's full of coconut water and has a light, lotion-like texture that smooths and plumps the skin without smothering it. I always use the Bobbi Brown Corrector (Peach) | £19.50 | before foundation - it's a cream product that neutralises dark circles without being thick or heavy. The Nars Pure Radiant Tinted Moisturiser (St. Moritz) | £30 | review | is one I've just repurchased and it's so great for everyday use. It evens out the tone of the skin and gives it a fresh glow whilst still being so lightweight. It isn't overly shiny either, so still lasts on my combination skin. The Nars Soft Matte Complete Concealer (Ginger) | £24 | is perfect for using on the face - it has a natural but medium-full coverage. It's also quick and easy to apply with your fingers. It can be used under the eyes but for a really radiant look, I recommend the Too Faced Born This Way Concealer (Medium) | £20. It's so fresh and lightweight but has amazing full coverage and this shade is perfect for highlighting under the eyes for me. It does crease, though, so I set it with the Glossier Wowder (Deep/Dark) | £18. This is a loose setting powder but not as you know them; it's actually incredibly fine and lightweight so is virtually traceless on the skin, however does get rid of any shine and is great for setting under the eyes to hold your concealer in place. In terms of bronzer, I've mentioned this product a few times before, but I still love the Cover FX Custom Enhancer Drops in Sunset* | £34. You only need one or two drops of this slightly sheeny warm liquid bronzer on the cheeks and the outer parameters of the face to add warmth and dimension. I apply it with my fingers and then blend it out with a damp sponge for an incredibly natural look. I then go back in with my powder over the cheeks, as this is my last cream / liquid product. I actually have a brand focus coming up soon featuring Milani, but I couldn't resist including some of the products from it here because they're perfect for this kind of look! I'm absolutely obsessed with their highlighters - there's really something in there for everyone. My pick for a warm-toned look is the Milani Strobelight Instant Glow Powder in Glowing* | £12.99. These highlighters give a gorgeous, soft metallic sheen. The formula is incredibly smooth and there's no glitter at all. This is a deep, warm golden-bronze shade. For blusher, the Milani Baked Blush in Bellissimo Bronze* | £9.99 | is perfect. It's a warm bronzed tone with enough orange in it to add some colour. It's a highlighting formula and applies evenly with the perfect level of pigment. On the eyes, the Milani Everyday Eyes Eyeshadow Collection in Earthy Elements* | £12.99 | is gorgeous! I will review this properly very soon, but the shades are beautiful, the packaging is stunning and this just really works for me as a warm-toned palette. There are stunning reds, golds, purples and bronzes in a mix of matte and shimmer finishes and it's very well-balanced, so you can use this palette for your entire look on its own. The texture is very soft and smooth. The colour payoff is good but not too much, so they're still very easy to blend out. I pair this with the Charlotte Tilbury Colour Chameleon in Amber Haze | £19. It's a stunning warm bronze-gold shade that's perfect for smoking out the lower lash line. It's long-wearing and smudge-resistant too. I always go for a winged liner look using the Stila Stay All Day Waterproof Liquid Eyeliner in Intense Black* | £14.50. It's just so precise to apply and the formula incredibly pigmented. It gives a sharp look that really does last without smudging all day long. To ensure it looks totally solid, I then tight-line with the Urban Decay 24/7 Glide-On Eye Pencil in Perversion | £15.50. It's a very pigmented, totally black liner pencil that doesn't smudge or smear. I then finish off with a coat of mascara and the L'Oreal Lash Paradise Mascara | £11.99 | is a great one. It separates the lashes, gives amazing, fluttery volume and also lifts and curls them. On the brows, I've just discovered a killer combination: the NYX Micro Brow Pencil (Espresso) | £8 | and the Glossier Boy Brow (Black) | £14. The NYX is a really great twist-up fine brow pencil that I use for shaping. It's very precise and gives a natural, soft look. It's more of a brown colour, which is why it works so well with the black Boy Brow gel used for setting, because my hair colour is very dark brown. Boy Brow gives tint and hold without any unpleasant crunchiness. For lips - I have a new discovery and an old favourite. The MAC Matte Lipstick in Strip Me Down | £16.50 | is an absolute holy grail shade for me, so I hope they bring it back (because it was limited edition). It has a creamy, comfortable formula that's matte and long-wearing. It's a sort of warm brown-beige colour (Taupe is a good alternative from their permanent range). I recently picked up the Urban Decay Cream Vice Lipstick in Backseat | £15.50. It's a warm reddish-brown with a totally opaque finish that has a nice sheen. It isn't super long-wearing, however I don't have many colours like this in a cream-sheeny finish. 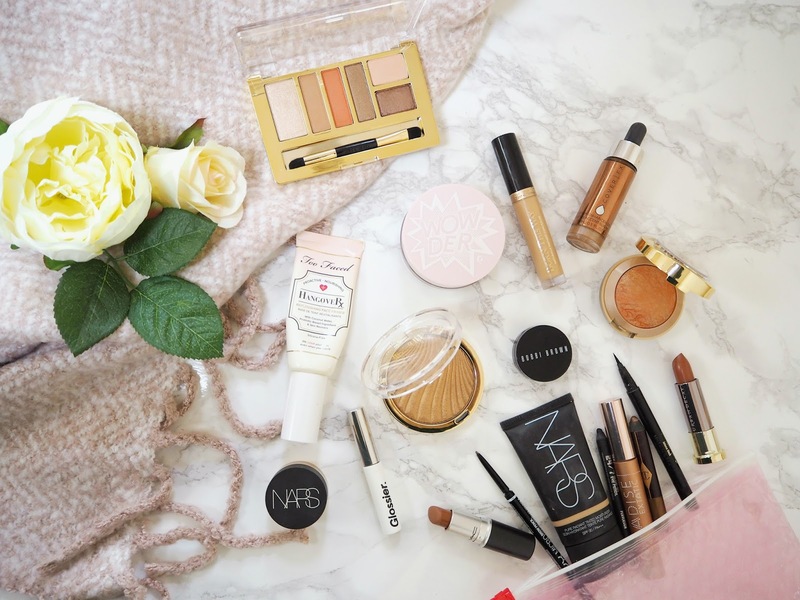 Which products do you reach for when you're going for a warm makeup look? I really want to try the Stila Stay All Day Liquid Liner, but liner is one of those products I'm always reluctant to spend a bit more on because it's not very fun to buy and doesn't last a terribly long time. I may be on the verge of caving when it comes to splashing out on the NARS Soft Matte Concealer though! I love these shades! Especially in the colder weather!! The eyeliners look really nice! The UD and MAC lipsticks look lovely! I also love the Bobbi Brown Corrector and NYX Micro Brow. 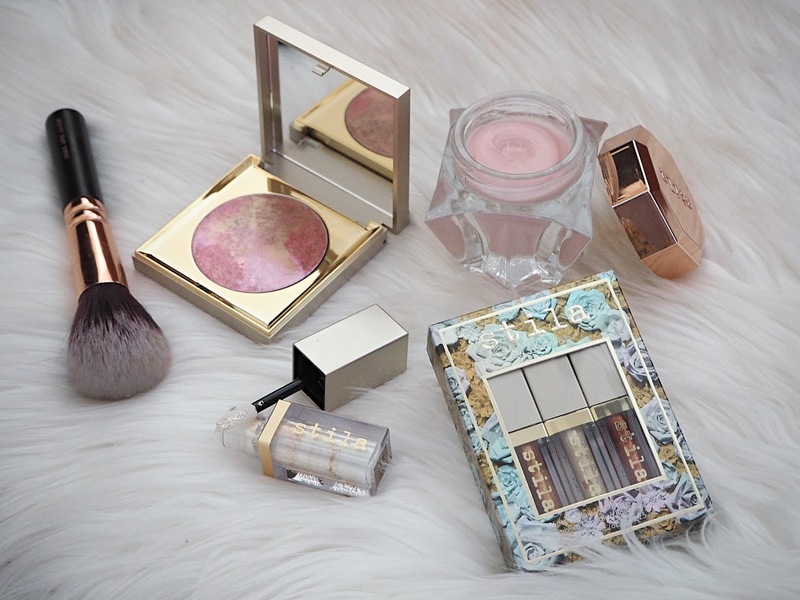 I definitely have my eye on the Milani highlighter and blush! I'm tempted too get those bronzing Cover Fx Drops! Love the look of Milani "Glowing"! I absolutely love the Nars tinted moisturizer! 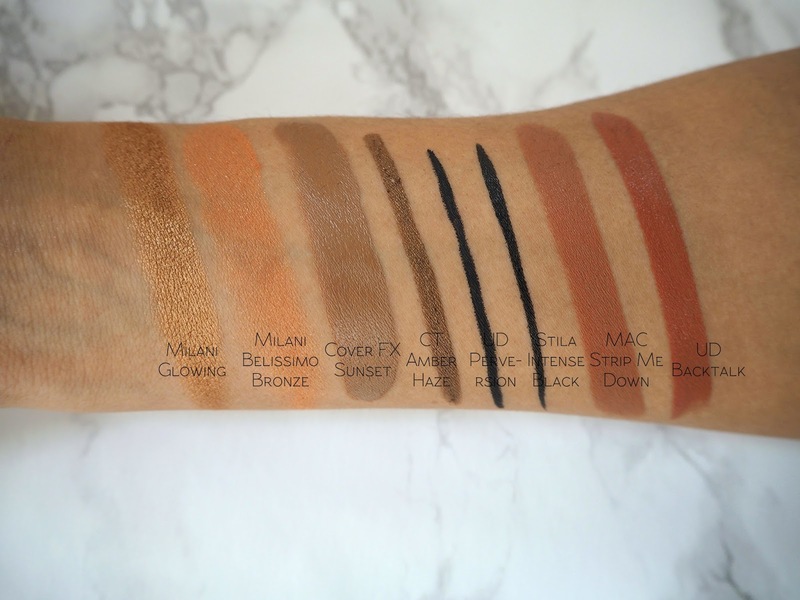 That Milani palette looks stunning -- Glowing is just incredible! I adore so many of the products that you've mentioned. I still really want to get my hands on the Too Faced Hangover Primer! Also, your new header is so stunning! I really want to try the Nars concealer! These colors are so beautiful! Awesome post! Beautiful shades! Love all these.